One of the basic foundations of a Trust or Gun Trust is that there must be a named beneficiary that exists at the time you create your trust. If there is not a named beneficiary that exists at the time the trust is created, the trust is invalid, and if the trust owns NFA firearms this could create large problems for those who are in possession of them. They are essentially in possession of an NFA firearm without a proper transfer. This is true, as many people are finding out, even if the ATF has approved the transfer to the trust on a Form 4 or Form 1. Often people do not know whom to list as a beneficiary in their trust. While a normal trust or revocable trust does not deal with transfers to children or other prohibited persons correctly a properly drafted NFA Trust should look at where the items are, where they are going, the legality in each location, the proper method for completing the transfer, the eligibility of the beneficiary to posses the firearms (at the time they are to be transferred and not simply at the time the trust was created) as well as whether the individual is mature and responsible enough to have a machine gun or a regular firearm for that matter. 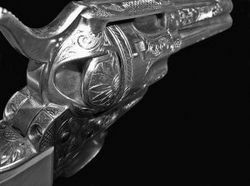 One must also evaluate the successor trustee to determine if they are eligible to complete the transfer or be in possession (under dominion and control) of a firearm. Many traditional trusts and other so called Gun Trusts do not deal with these issues properly. Firearms Trusts or Gun Trusts from the Gun Trust Lawyer® are designed from the ground up to deal with firearms and related activities. If you do not have children, a spouse, or others that you want to leave the firearms to, or they happen to predecease you, a charity can be named as the beneficiary. Many of our clients have chosen to name one of the NRA foundations, the Second Amendment Foundation, the NFATCA, or one of the other gun rights organizations as a beneficiary. Who ever you name, you just need to make sure they are alive or in existence at the time the trust is created. You cannot name future unborn children unless they are named in conjunction with a living person or entity.